Live broadcasts do not tend to repurpose well. In fact, more often than not, they make for really, really sucky evergreen content. When live video first became a ‘thing’, we saw a flurry of repurposed podcast episodes. Fair enough, the intention is honourable: live is great for engagement, for quick content creation, but it’s so transient, so why not take the audio and stick it online? But, what if there was a way to do live that DID create decent evergreen content? What if live not only created it, but improved your evergreen content? And what if… yea, another one… it retained just as much engagement, so you’re still getting the best of both worlds: growing relationships with your audience while ALSO creating better evergreen content? Well, guess what… that’s what this is all about. Oh, you DID guess? Well… I was making it pretty obvious. Let’s quit the preample and jump in! Live works because of the party atmosphere, the interactions, the helllooooooos and the Where ya’ froms. The audience gets to interact not only with you, but the whole crew. That’s what builds engagement, with you and your brand. They get to know you as a real person, and grow to trust you as a result. That’s great when you’re involved. But, it’s as boring as a world without podcasting when you can’t get involved. There’s nothing to learn, nothing to do, and it’s not even entertaining because you’re not there. So, the interactions build engagement, but they reduce utility. For utility we need the real content. We need you answering questions, offering advice, entertaining or inspiring. That’s what you normally do on your podcast or your blog. And that’s still valuable on live: you’ll tend to do it inbetween the interactions. The trouble with most lives is that we mix engagement and utility throughout. We stop and say hello to people as they come in, or we answer sideline questions as they appear. It takes way too long, with way too many distractions. There’s no FOCUS, and that’s what derails our attempts to repurpose it into good evergreen content. The answer? Separate them. Separate engagement and utility. Here’s how to create live sessions which are still engaging, but are much more repurposeable. I’ve included examples to cater to teachers, to entertainers and to informers. Introduce the Session – 5 minutes, doing as many hellos and where you froms as you like. Kick start the party. Set up the topic – 1 or 2 minutes. Describe what you’re about to perform, to teach or to cover. Ask for Input – 5 minutes. Ask for questions. Ask what they’re struggling with in that area. Ask for suggestions for the performance. Ask what angles they’re most interested in. Deliver. 10 to 20 minutes. Perform! Teach the topic, or deliver your content, but integrate the audience suggestions. Answer questions – 5 to infinity! Spend time after doing a Q&A. Cover the queries that came up, and ask for future topics. In this format, we’ve separated it all out in a really solid structure. What this means is that we have a really clear delineation between engagement and utility. 2 and 4 are for utility, while 1, 3 and 5 are pure engagement. How Do I Repurpose the Live Broadcast? You can see what’s coming – all we do when we’re repurposing is to cut out and repurpose only the utility sections of the live session. For ease, you might just cut out and repurpose section 4 alone. That’s the money shot. If you’re doing that, you just have to be aware that you’ll need to reiterate the topic again at the start of the section. That’s easily done, though. Or, if you do it right, you might take both 2 and 4, paste them together, and repurpose them together. 2 gives the introduction, and 4 delivers the goods. Then there’s less repetition for the live audience at the expense of just a touch more work for you. Hey presto, pure utility, created as the result of a live broadcast. You get your cake and you stuff it right in your face – engagement plus utility, for just a tiny bit extra work in chopping 1 or 2 sections out of the video (more on how to do that easily later!). Here’s the super sweet part – this makes for even better evergreen content, because of the engagement. That section 3 – asking for input – that’s gold. You’ll get so many questions, suggestions and struggles that you’ve never heard of before. For a good presenter, that feeds right into your delivery. You’ll have a plan in advance, but you can adapt, tying in the audience feedback, to make for far stronger, more relevant, more compelling content. On top of that, your audience feels invested in it. They’ve been involved in the creation of this resource. That means they’re far more likely to listen to it again in future, to believe and trust in it, and, importantly, to share it with their own audience. If you can build content that your audience feels invested in, growth is so much easier. They’ll do it for you. Alrighty, easier said that done, eh? You can do the delivery, but how do you do the repurpose? 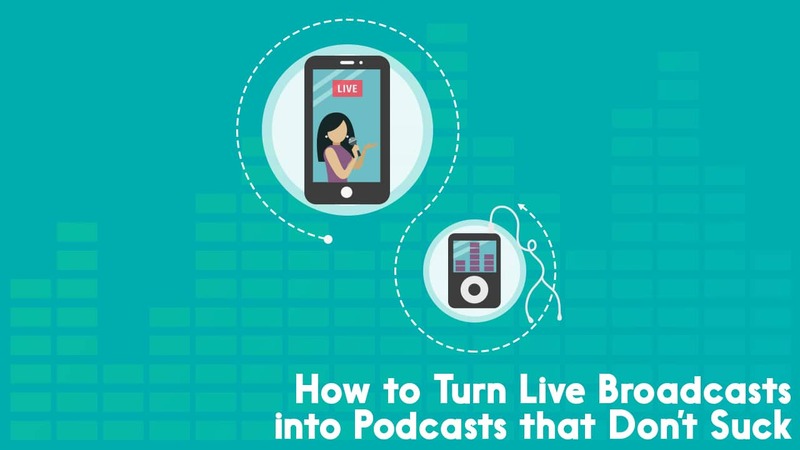 The broadcast part is simple enough – you can do that directly on Facebook live, YouTube live, Instagram Live, Periscope, etc. Broadcast where your audience is. You don’t need it, but I use Ecamm Live for my live broadcasting. It makes things so much easier for a few reasons. First, it shows comments in a really easy way, so you can interact as you go. And second, it allows you to set up scenes, so you can switch between your webcam, a screenshare, a slideshow or a bunch of other options. You can also add text and lower-thirds really easily. Well worth the 80 bucks if you’re taking this seriously! Next, download that video. Most platforms make this easy. Once you have the video, it’s time to edit. You’ve got a couple of options here. DIY Video editing software – I use Premiere Pro or Camtasia Studio. Both are great, very powerful. Slightly intimidating in terms of learning curve, but not hard to master. Packages like iMovie could do the job as well. Automation App – Use our tool, Alitu.com, to automate it. Upload your video, and we’ll output an audio version, with your podcast theme music auto-attached. We’ve got a really simple editing interface, too, to cut out the ‘engagement’ sections of the show so you can follow the whole process. Any good video editing package can output an audio-only version of your video. 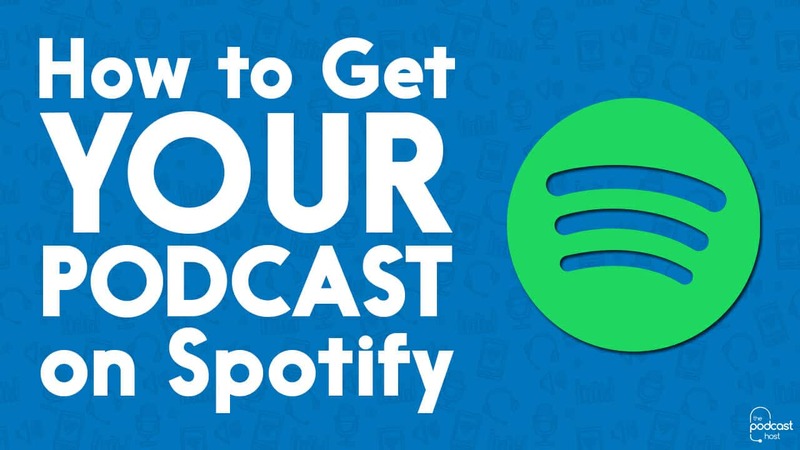 Your aim is to export an MP3 file and upload that to your podcast hosting platform. Audition and Camtasia can certainly export the right file, and then you’ll be able to upload to your podcast host. Alitu will also create the audio file for you, and it will upload it right to your host if you’ve set up the link. Now, through one well-planned broadcast, you’ve engaged your audience and you’ve created a great evergreen podcast episode. Excellent! Anything that helps you get more value from any given activity is great for your business, and great for your audience too. So, go forth and get live! And remember Alitu.com is there to help you with technical side, so you don’t have to stress. PreviousPodcast Names: What Should I Call My Podcast?